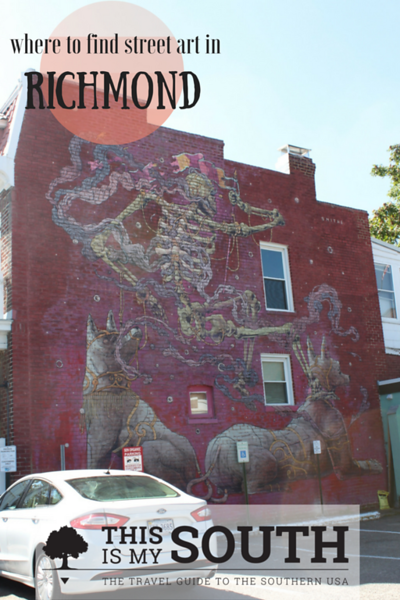 Richmond, Virginia is far more than a city with ties to early American history. 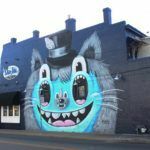 The young people who have attended nearby universities, like Virginia Commonwealth University and the University of Virginia, have brought with them an arts culture, brightening up otherwise bland walls around the city. 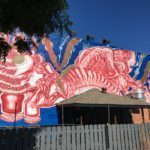 Thanks to the Richmond Mural Festival, an annual event, and other similar festivals, dozens of murals have been created in all corners of the city to increase tourism and local business. 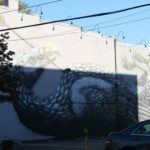 Check out the Richmond Mural Project website to see images of most of the city’s murals as well as this story on Richmond.com, which has a map. 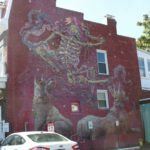 Charm City Streets also has a great post on murals around Richmond. 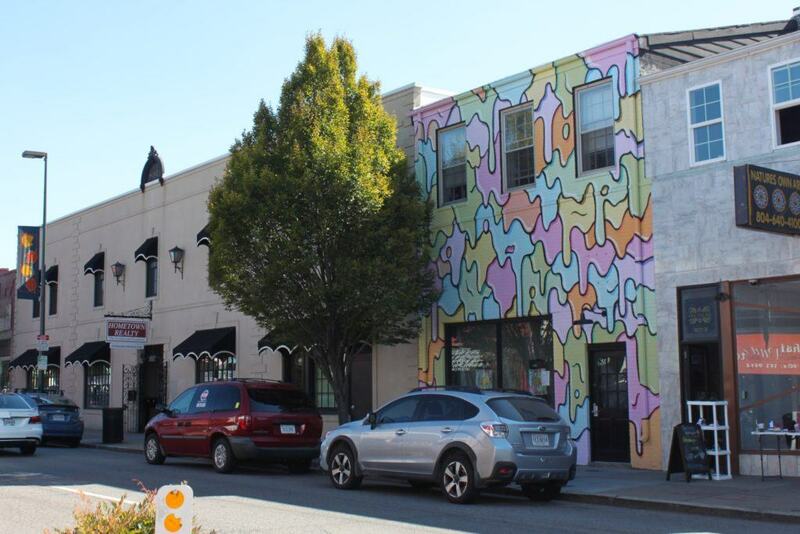 The area now known as Carytown is one of the city’s trendiest, home to countless restaurants, vintage clothing, record, and bookstores, and coffee shops. 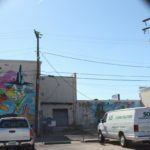 But it was built in the 1930s as the city’s first strip mall. 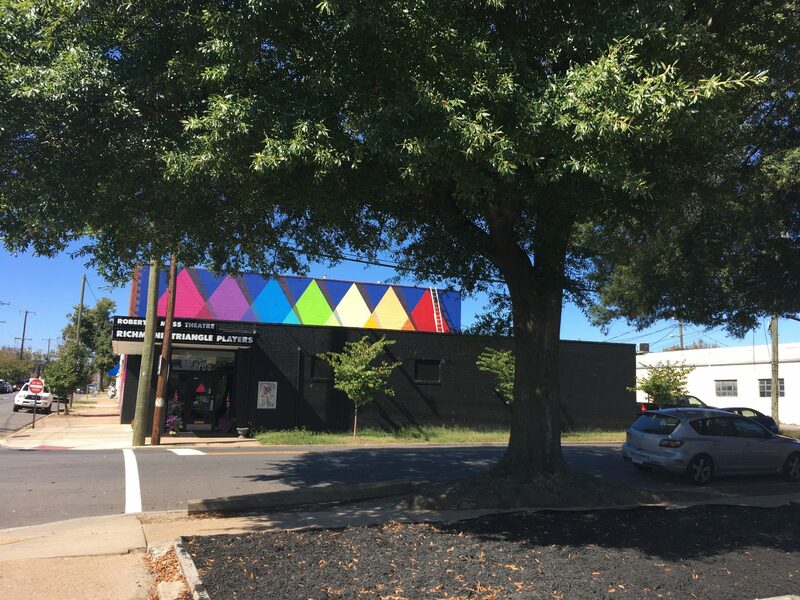 The Cary Street Park and Shop Center, now called Cary Court, is still there and has parking, the original draw. The historic Byrd Theatre is an icon in the community as a continuously-operated movie theater from the 1920s. In this neighborhood catch the whimsical stick figure by Sonni, located on Cary Street, which is right across from the “skeleton dance” piece by Smithe. 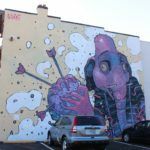 Nearby, close to the Fan District, you can also admire pieces by Atlanta artist Greg Mike on Main Street and Cary Street. 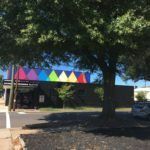 There are also some colorful pieces around downtown and Shockoe Bottom, a neighborhood that dates back to the 1700s when the city was founded. In this area, you’ll find attractions like the Virginia Holocaust Museum and the Virginia State Capitol. 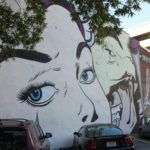 The large-scale mural by D* Face, on North 7th Street, is reminiscent of a comic strip. 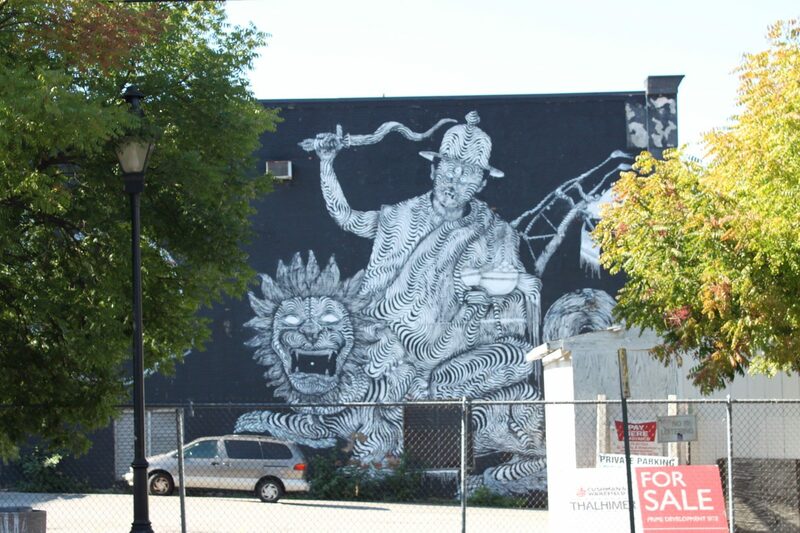 The middle photo is by 2501, and located at 11 South 18th Street, which features a man riding a lion, depicted in black and white. 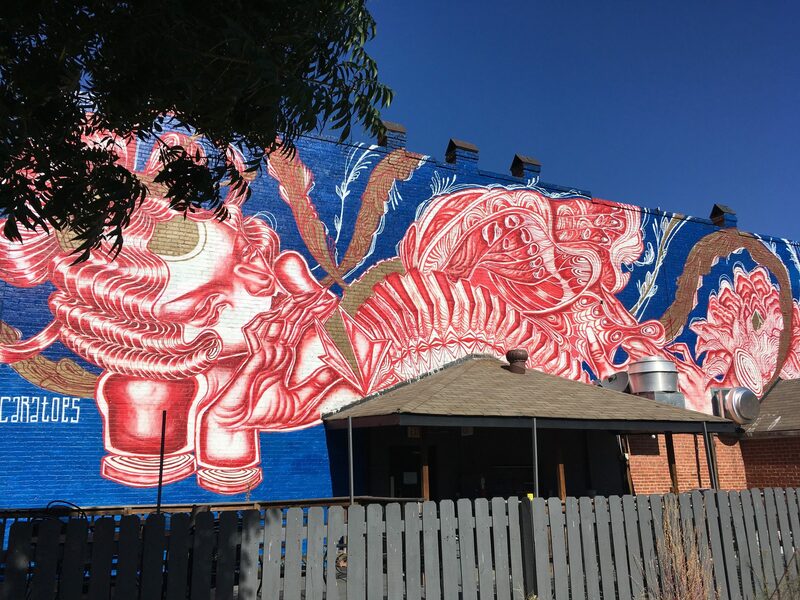 Caratoes painted the red and blue mural at 1814 E Main Street in 2015. In this area are also pieces by Scribe. 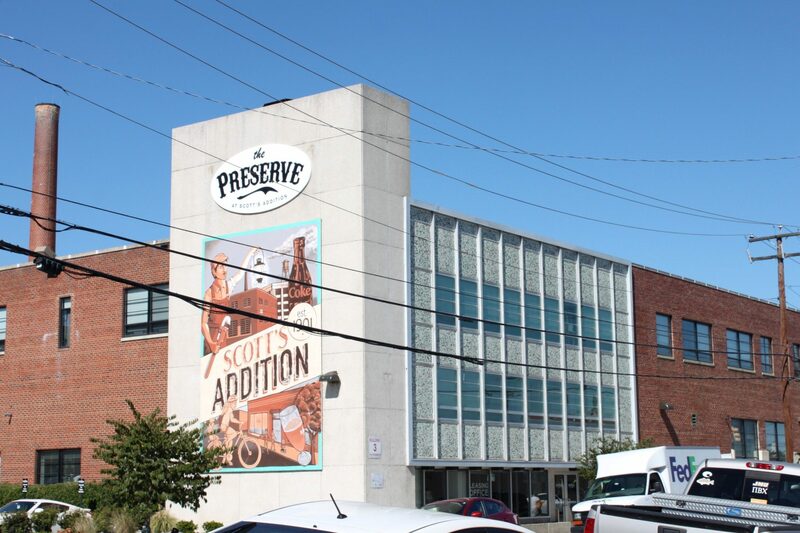 The Scott’s Addition Historic District was first developed in 1900 for industrial purposes and retains much of that atmosphere today. 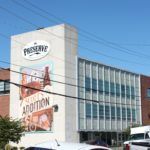 But gone are many of the warehouses, replaced by loft-style apartments and breweries. 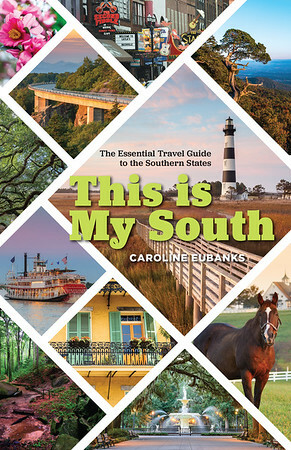 In fact, it’s been called Richmond’s booziest neighborhood. Places like The Veil Brewing Co. and Blue Bee Cider bring in visitors and thirsty locals. 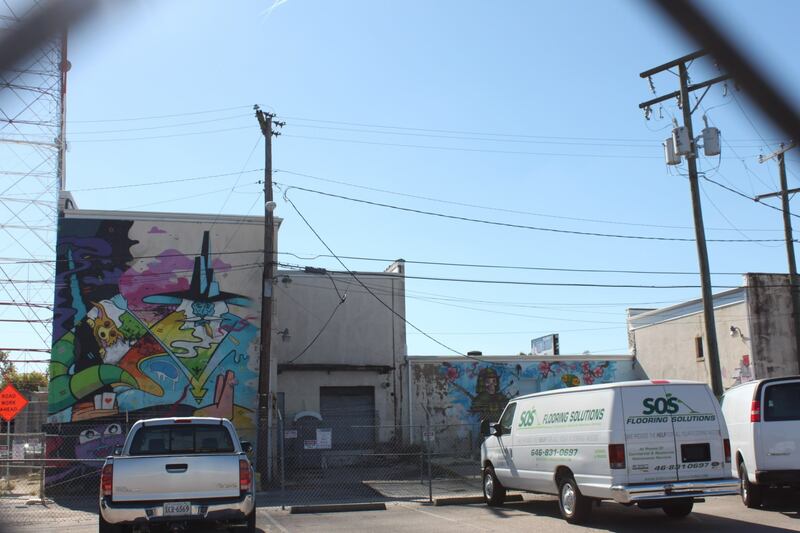 One of the first murals you’ll see is on the side of The Preserve apartments by local artists Ross Trimmer and Mickael Broth. 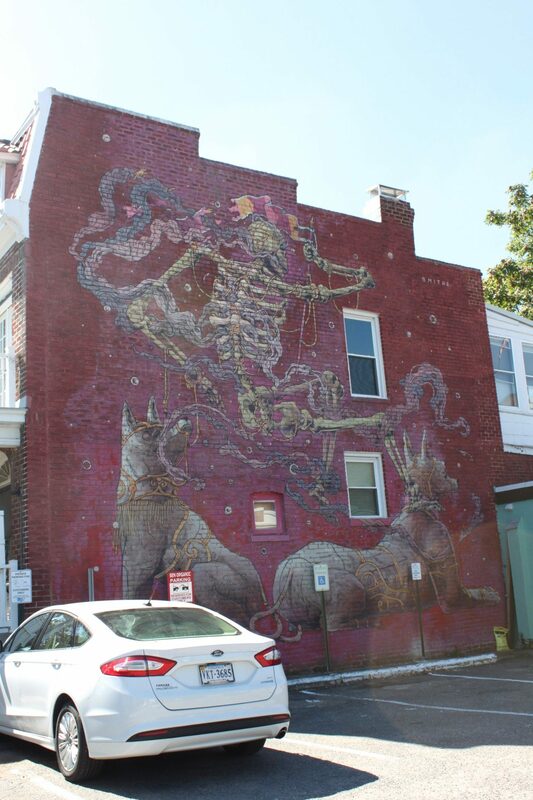 It depicts the history of the neighborhood. 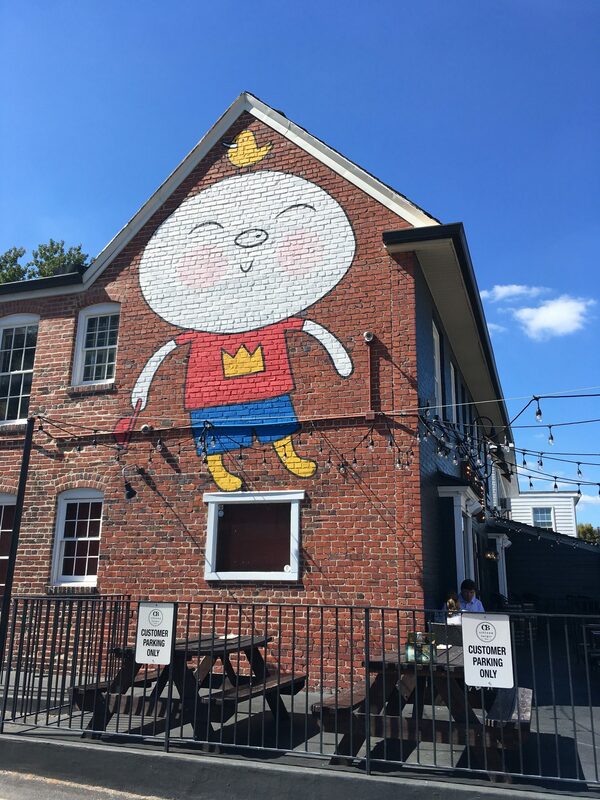 There are other walls that have been painted by artists I can’t identify. Named for the shape of the neighborhood on a map, The Fan District sits between Carytown and the campus of VCU. Historic homes and monuments still sit as they did in the 1900s, but now the neighborhood has cafes and other small businesses. 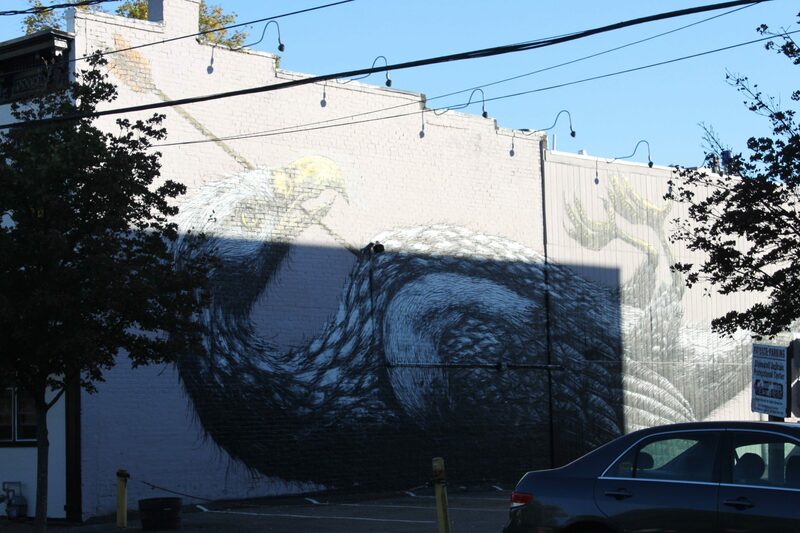 A number of murals have popped up here, including a bird by noted artist Roa, on West Main and another on South 18th, who has pieces in London and New York. 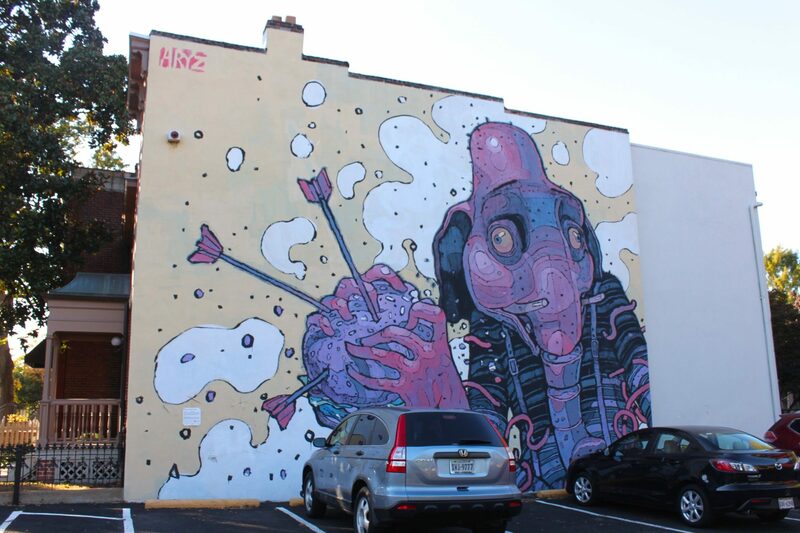 Also on West Main is a mural of an elephant by artist Aryz. 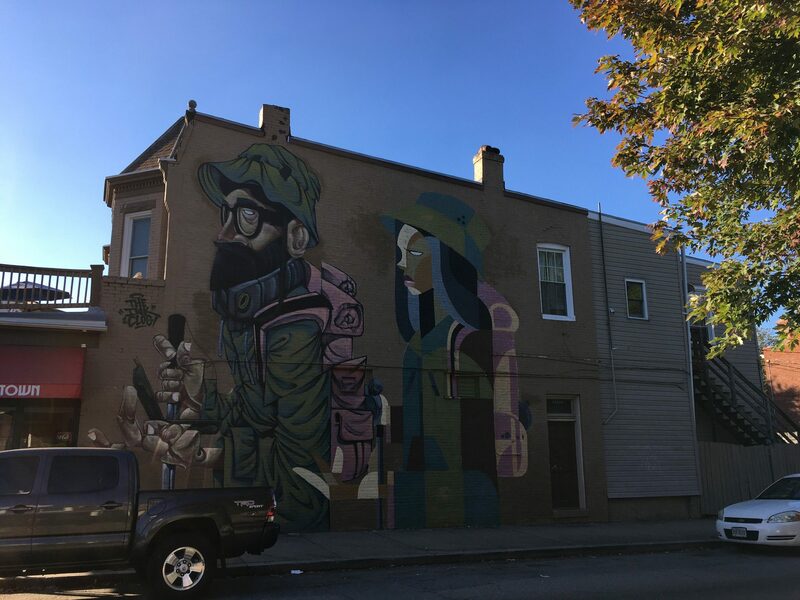 Inkten and Clog Two collaborated on the West Main Street mural of two people in 2015. 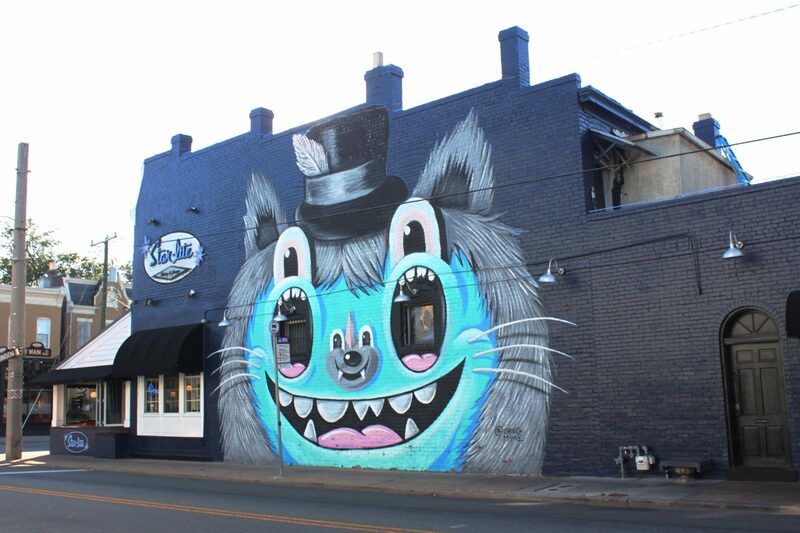 And Jerkface produced a number of Disney-inspired walls in Richmond. 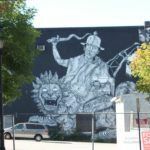 You can also find murals and street art in Church Hill, Monroe Ward, Oregon Hill, Jackson Ward, and the Museum District.